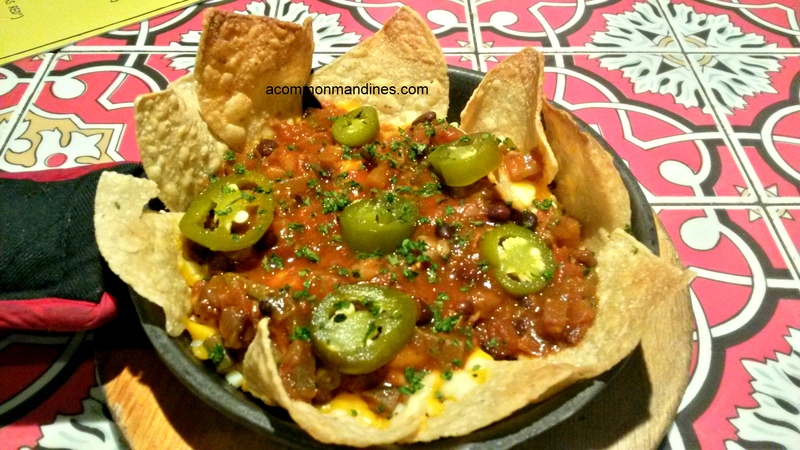 I am admittedly a huge Chili’s fan, their food consistently fails to disappoint. My perception of the place, it is American,it is big and it is comforting. They are now doing something wonderful over the next couple of months, they have recreated the menu which they originally started with in 1975 in Texas. Humble beginnings from a single page menu which ran for three years until 1978 to a chain of 1500 restaurants today, whilst this menu definitely takes one back in time; it also reinforces the fact that you need to start small to grow big. 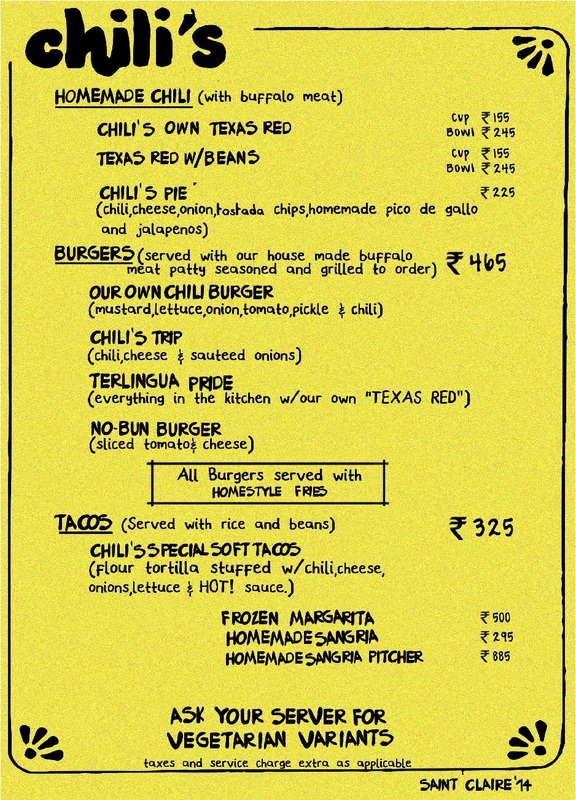 A look at the menu and you know there is nothing for vegetarians,the cowboys in Texas liked their beef more than anything else; however keeping the locals in mind, Chili’s India added in the line for vegetarians which never existed back in 1975. 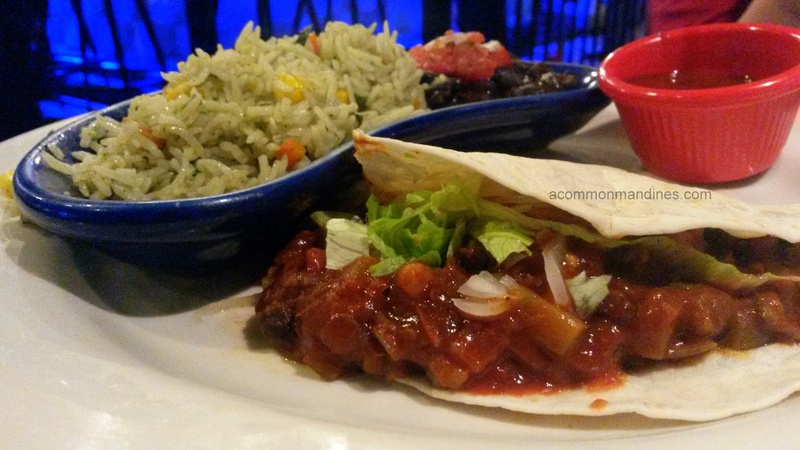 We started with the Chili pie, their classic with tostada chips, melted cheese, pico de gallo and Chili (In American English it refers to Chili con carne) in a vegetarian version. It was crunchy; the melted cheddar gave it the edge and the red bean stew the zing. 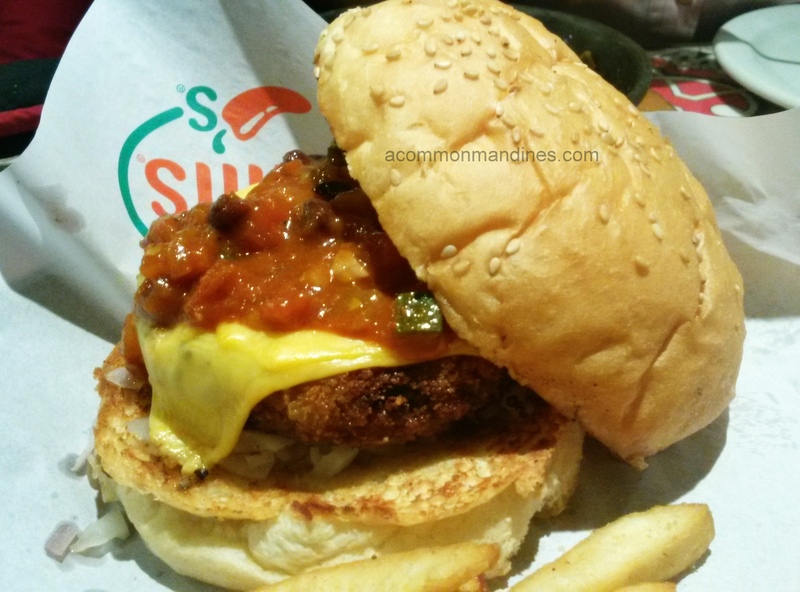 The vegetable burger with a veggie patty (minimal potato), salty cheese, sweet sautéed onions and piquant Chili (Red bean) in a soft bun was constructed well. The soft tacos with red beans, cheese, and lettuce were the highlight of the evening, there was finesse in the home style dish. 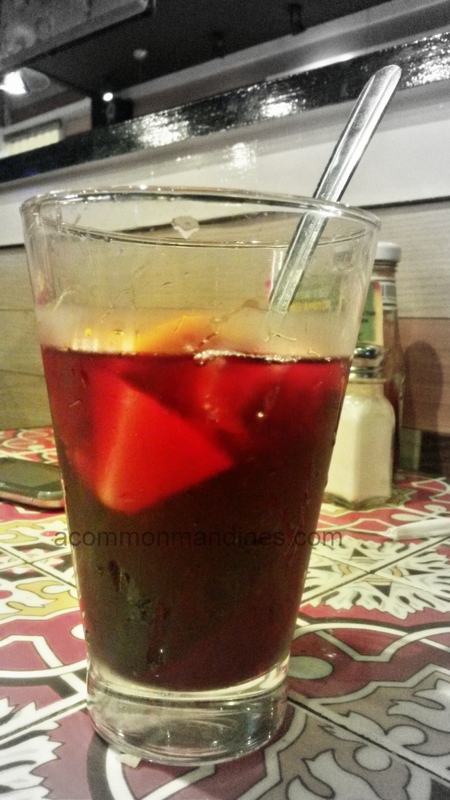 We washed all of it down with Sangria. I truly feel an initiative like this is very good restaurants, in a way their consumer associate themselves better with the brand by experiencing their past and living in their present. If only their prices had been from 1975 just as their menu!!!! Never fails to disappoint translates to always disappoints. I hope you mean never disappoints as the rest of the review is favorable. I had many meals at chili’s in Cupertino ca with this original menu. Brings back memories. Thank you Nancy for pointing it out. I just love the food there and have made the correction. Cheers!